Sometimes accidents are good ! Me and my husband were out for dinner in a complex which houses a few restaurants of various cuisines. We were supposed to enter into an Indian restaurant but we took the wrong door which took us to Lebanese cuisine! That’s how we landed at Kebabji, the Lebanese restaurant on the sea-side road in Abu Halifa. It is a small restaurant with an authentic lebanese/arabic food. The decor, music in the background and majority of the crowd were truly Arabic. 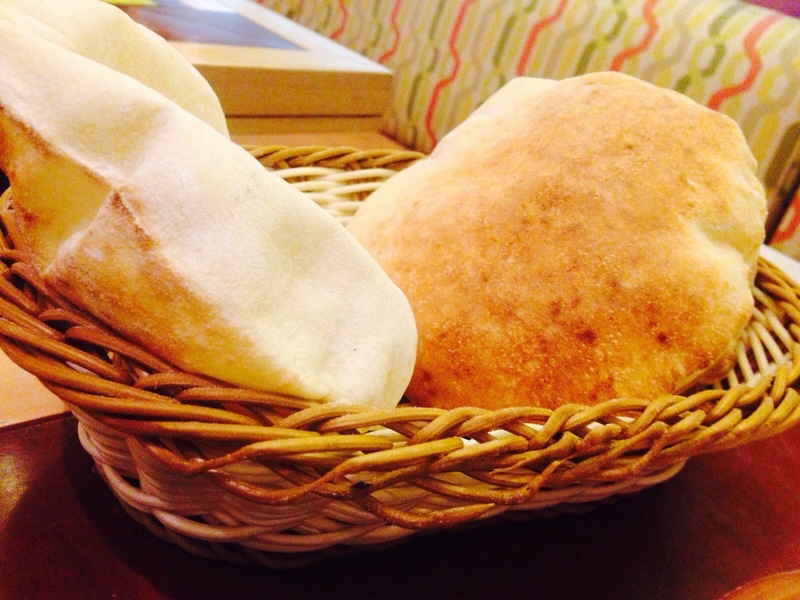 Kuboos, the traditional bread of the Arabs is served hot and unlimited in baskets. Raw garlic paste and olive oil is complimentary. We ordered for regular hummus and a platter of mixed skewers.For those who wondering what are all these, kuboos is similar to our phulka, but made with maida and tastes different. What you see below is Lebanese/Kuwait kuboos, the Iranian version is more crisper and resembles our Indian parotta. 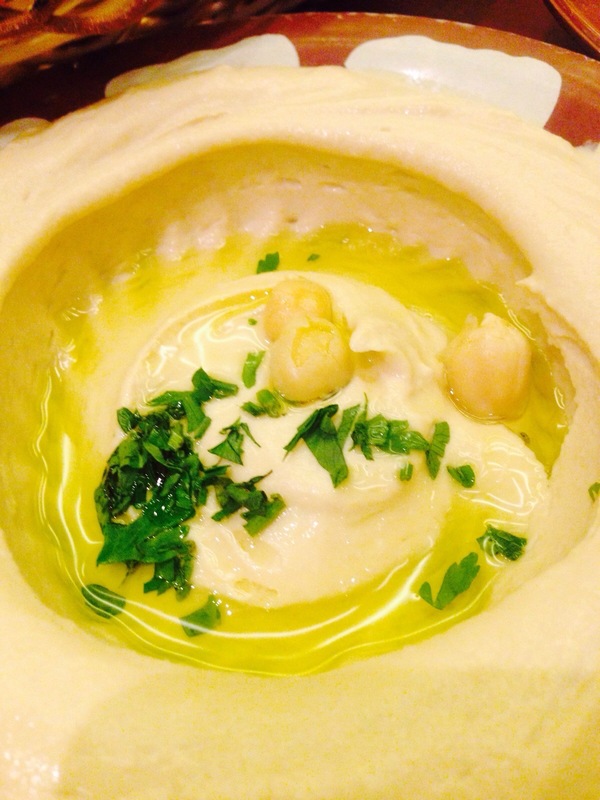 Hummus is a paste made of chickpeas and olive oil. It goes very well with the kuboos. 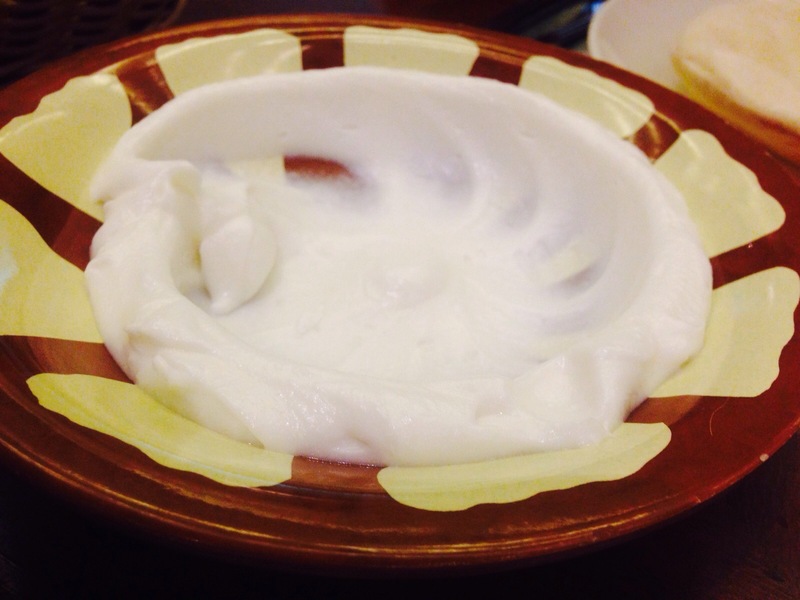 This is a very common food in the Arabian cuisine and part of daily meal for the local people. Our main dish, mixed skewers had two varieties of chicken and lamb. The meat was so soft and juicy and it tasted so good when had with a dip of hummus and extra olive oil. It also went as a side dish for kuboos. 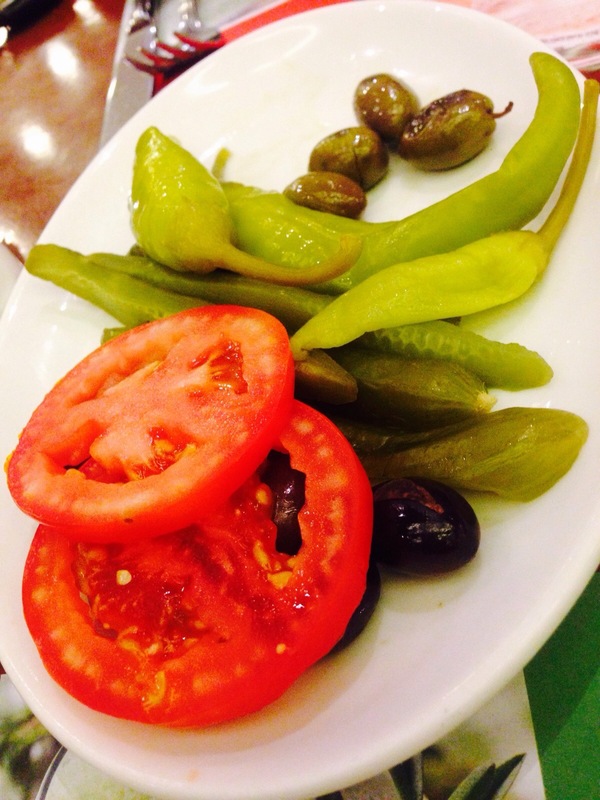 The salad had fresh tomatoes, black olives, green olives and green chillies soaked in vinegar. I so wanted to try their Turkish coffee, but I heard it would be very strong and bitter. I didn’t want to ruin the good-going meal,so skipped it and ordered a regular lime juice with mint. Maybe, next time. The meal for two costed 6 K.D and I would say that was worth the taste. 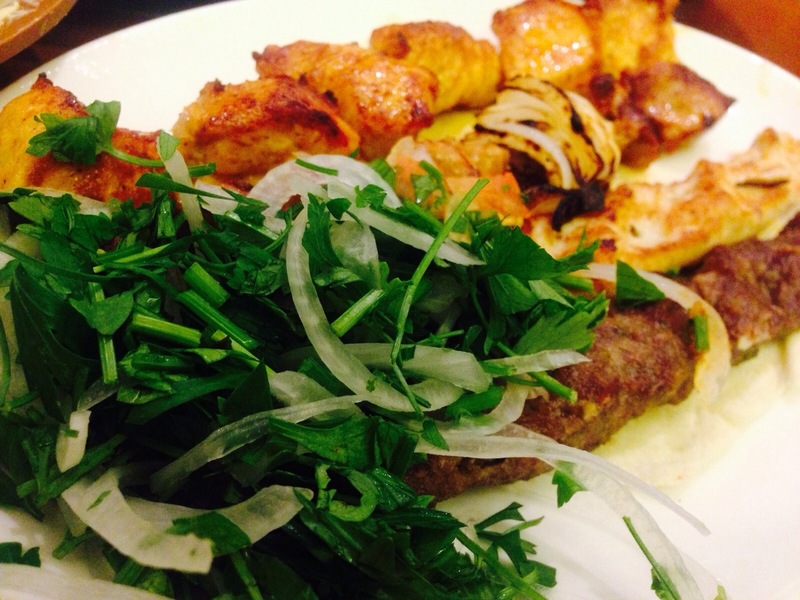 Hope you enjoyed reading my experience with the Lebanese cuisine! Everything looks so yum!! I wanna taste those Kaboos.